The love of metallics extends far beyond a dress or top to include accessories, bags, even shoes! 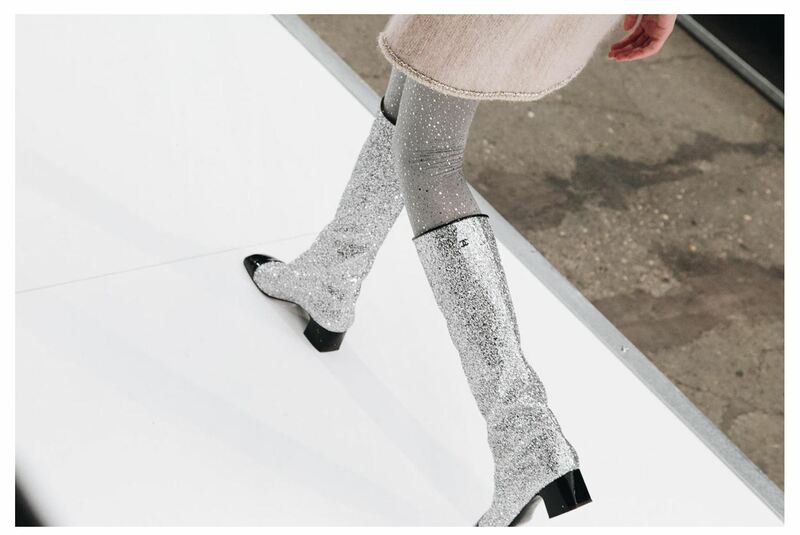 The silver boots and booties trend started with Chanel (below). And, it’s gained momentum ever since! Most of us like shiny, sparkly things. But, styling these trendy boots is another story. It’s not easy to do.I found a pair that I think is gorgeous and fairly simple to style by Cape Robbin from Amazon Fashion. I paired them with basics, in a simple way that I think most of you can recreate. This is a fun look for a holiday that is coming up… or simply when you want to add a little more interest to you look. You guys, when did the Amazon shoes get seriously so good?? I often hit up the same stores but more and more I’m finding some gems on Amazon, and noticing other bloggers are as well. It makes sense if you think about it, since we basically have multiple Amazon orders each week. You can really find anything and everything and I’m utilizing it more as a style resource to buy Amazon clothes and shoes for myself and our family. Read the reviews & check out the photos! While we never know who’s sharing reviews, it’s so helpful to hear about fit, style, quality, etc. Sure, if I’m spending $30 on a top I’m not expecting luxe $200 style, however look for insight regarding sizing, how it washes, if colors are true to the image, etc. Filter for Amazon Prime (or be prepared for a wait): I try to focus on the items that are available with Amazon Prime, otherwise you really need to look at estimated arrival and where it;s coming from. If you’re cool with waiting 2-3 weeks for an awesome find from Asia, go for it… I have and it’s fine but don’t make the mistake assuming it will be here for your weekend date night. Thank you so much for stopping by. Have a fabulous weekend. Leeeeen!I’veben away from the blogosphere for about 3 months and it’s good to be back. I’ve MISSED your posts, so let’s get into it: GLITTER! I’m a Studio 54 lovechild (in my head), so I’m all about this trend. I love both of your boots, but your knee length ones deserve their own talk show. You always have the most fabulous boots dear! Glitter boots looks so gorgeous on you. Absolutely love the coat on you! Beautiful! Those boots are seriously amazing!! 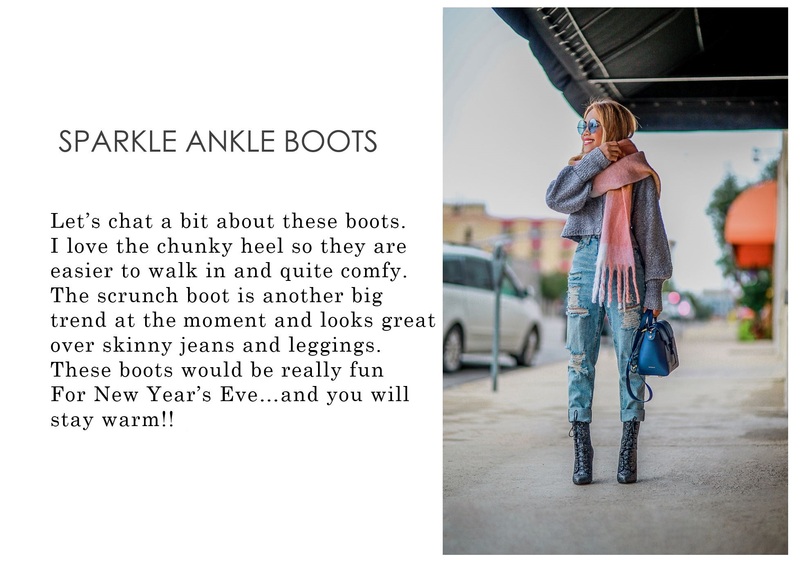 I love metallic and sequin boots. The ones you are wearing are perfect for you! Beautiful! Have an amazing weekend babe! That outfit is darling on you an I love your backdrop! Gorgeous!